We look for creative people with a good sense of design and great motivation. Experience is welcome but not required. Participation in the program is free of charge. Make your own custom shoes from more than 70 style genres and a wide variety of colors and materials. Add your own logos and even customize the packaging. 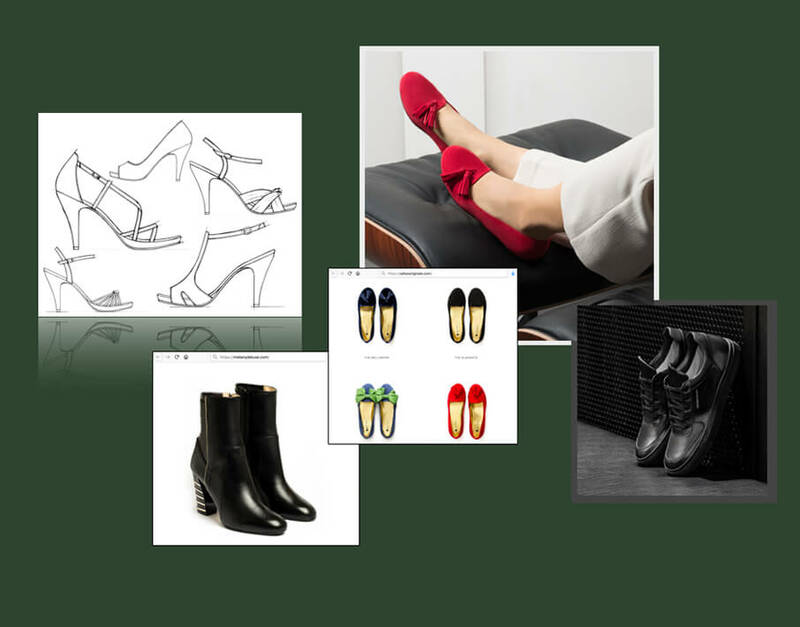 Reach your first seven pre-order sales to start shoe production, then continue selling more shoes through your custom e-shop. Earn $30 profit on each pair sold. A beautiful custom biker boot style with a unique and trendy NYC vibe, featuring vintage red and blue textiles and genuine Italian leather. GO is a very unique custom high-top sneaker design that merges futuristic fashion themes with old school camouflage style. This elegant monk strap concept combines a classic look with fashionable style and genuine Italian craftsmanship. Inspired by the world of polo players, the design is made of dark blue aged Italian leather for a unique Italian quality touch. A high-heel platform ankle boot features sleek styling designed for a fierce look. This platform boot has a round toe and a 12-cm (4.8-inch) heel. Make a feminine and sporty statement in this redesigned wedge sneaker made with genuine Italian suede plus a 7-cm (2.8-inch) hidden wedge. Millennials and teenagers look for limited-edition products and independent brands, and want to support new designers just like you. Old school footwear and fashion brands can't keep up with new markets, new trends and the Internet. 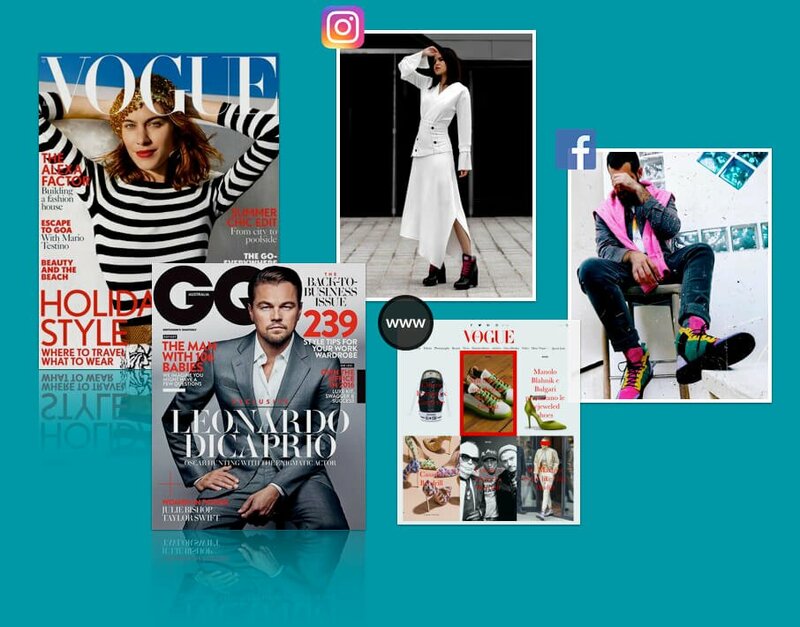 E-commerce is growing fast with social media as a great way to promote fashion and new brands online. Retail is falling behind. Starting a custom shoes label can feel like conquering the world! Make your own shoes and take the lead of your brand. Get your customers involved from day one as ambassadors for your brand. Give them the chance to pre-order your custom shoes and spread the word about your designs. Design your own shoes with more than 70 type of bases, customize shoes with limited-edition options and plenty of colors and materials. Use your own logos and make your own packaging. Production, shipping and customer service? It’s all on us. You can make your own shoes and sell with zero risk on your side. We’ve got your back! Start selling and showcasing your design through your own custom web and mobile e-shop. Designing and selling your own shoes is a hell of a lot of fun, and you'll make some cool cash, too, with $30 profit on each pair sold. All custom shoes are handcrafted by Italian artisans with the best Italian leathers, just like the big brands. The LAMBO shoe brand recently reached the pages of one of the most important lifestyle and fashion magazines in the world: Vanity Fair. Jameson C. Montgomery realized his dream of making a J. Captiah shoe brand, which was published on GQ magazine website for a whole week.It’s another exclusive project published in a world-class magazine thanks to the PR Boost service by the AliveShoes team. The Legacy Elite brand was recently featured in the online version of GQ magazine, an undisputed leader in men’s fashion. It’s the fulfillment of an important goal of the AliveShoes PR Boost team. Apply now and grab the unique opportunity to develop your vision, make your own shoes and launch your own shoe line out there. Italian co-founders toward a winning idea. 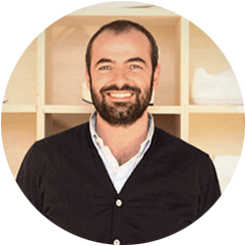 AliveShoes gives talented and creative people all over the world the professional resources to design their own custom shoes and launch a shoe line from scratch. We take care of all production and logistics from Le Marche, Italy, the most exclusive and prestigious shoemaking district in the world.